This is a third party service for which we offer custom development services for. If you are looking for a secure, dynamic and solid integration between your Caspio apps and your preferred cloud services such as PayPal, Amazon S3, Google Drive and the most popular applications, then this is the best option for you. We DO NOT provide Integromat platform. We are a third party agency which offers development services from basic to advanced flows for your Caspio Apps. Connect to hundreds of services from your Caspio account by using the API service Integromat offers. Discover endless possibilites. Contact us for custom development while you retain complete control over the flow of your apps. While we do not provide Integromat service, based on their Privacy Statement, they offer all measures to make you feel comfortable while using its services. Please check their Privacy Statement. Please visit Integromat website to search for the app you are interested in. If you can not find it, then check this Integromat connector to create custom calls to almost any web service. 03. Do you offer Integromat training? No. We are a third party agency which offers consultancy and custom development services to connect your Caspio apps through the API to any other web service. 04. What is the difference between your API Library and Integromat? Our Library covers the Caspio side connections, meaning you must create the other services API you are trying to connect to. You can also purchase our library so you have complete control over your Caspio connections and services. 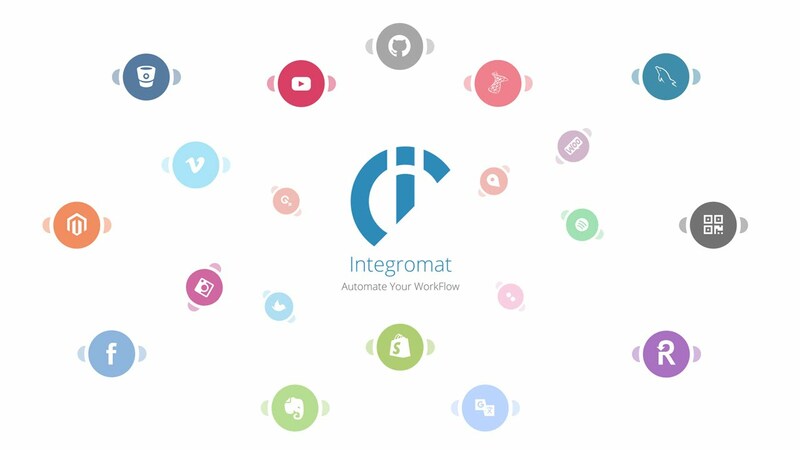 Integromat is a third party service with hundreds of ready to connect modules and logging capabilities. 05. Where could I see Integromat fees? You can visit Integromat Pricing page for more information. Ready for your new web app? * Working with files is not possible with this library yet, you may need further coding to make these type of calls properly in your system. Only "GET Files Metadata" is available. * You will be contacted within the next 24 business hours from the purchase date to establish a usage case and install the library for your account. * Your library will be ready to use within 48 business hours after your usage case has been established. * You will be provided with a document containing code examples as well as technical information for using this library. A 30 minutes screen share session can be scheduled on demand to provide live training for you or your team. * A fair usage is included with the hosted service. In case we notice you are above such usage, we may need to migrate your library to a dedicated server which may increase the initial costs but this change will never take place without prior notice and agreement. * If you decide to host the library in your own server, +PHP 7 is required.